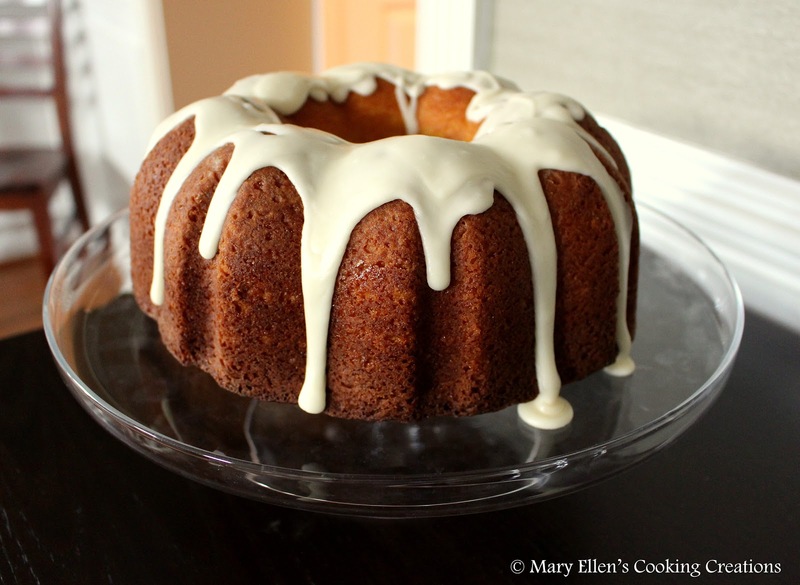 I think my lemon kick was contagious because this cake recipe was chosen and baked by my husband. I couldn't help but laugh when he told me he was leaning towards a lemon cake for Easter. I was also happy he chose a dessert that would fit perfectly in my new cake dish. 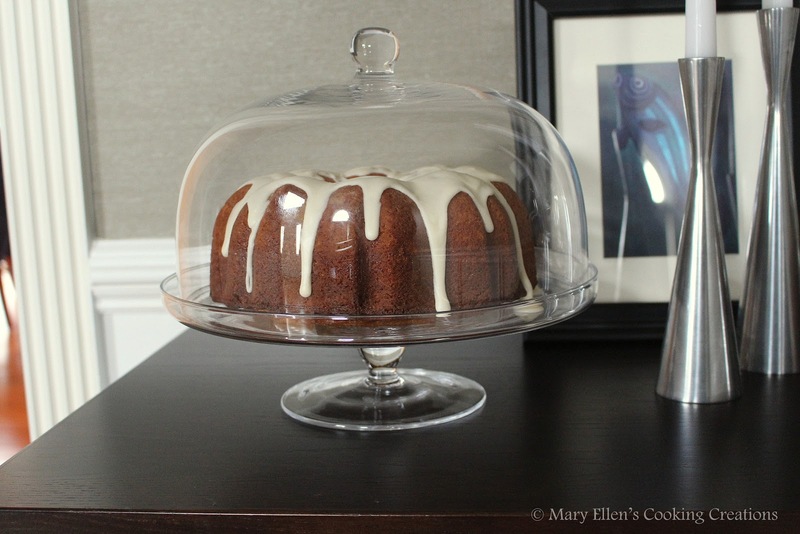 I have been looking for a cake stand with a glass dome cover for a while and was lucky to stumble upon this one at Home Goods several weeks ago (and it was only $19.99!!). Isn't it pretty? 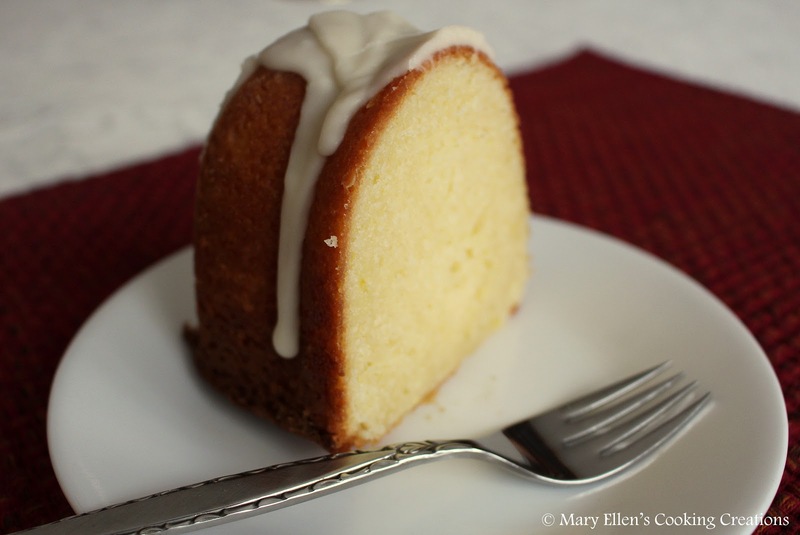 This simple lemon cake with a vanilla glaze made the perfect Easter dessert and would work well through spring and summer. After a fabulous Polish feast for dinner, this cake was the perfect sweet and bright note. Using an electric mixer, beat together the butter and sugar on medium high until light and fluffy; 4-5 minutes. Add eggs one at a time, beating well after each addition. Mix in the lemon juice. With mixer on low, alternately add flour mixture and sour cream, beginning and ending with the flour mixture. Mix until just incorporated - do not overmix. Spoon batter into the prepared pan and smooth the top with a rubber spatula. Firmly tap pan on a work surface to level batter. Bake until a toothpick inserted in the center comes out clean, 55-60 minutes. If the cakes begins to brown to quickly, tent loosely with aluminum foil. Let cake cool in the pan 30 minutes, then turn onto a rack to cool completely. 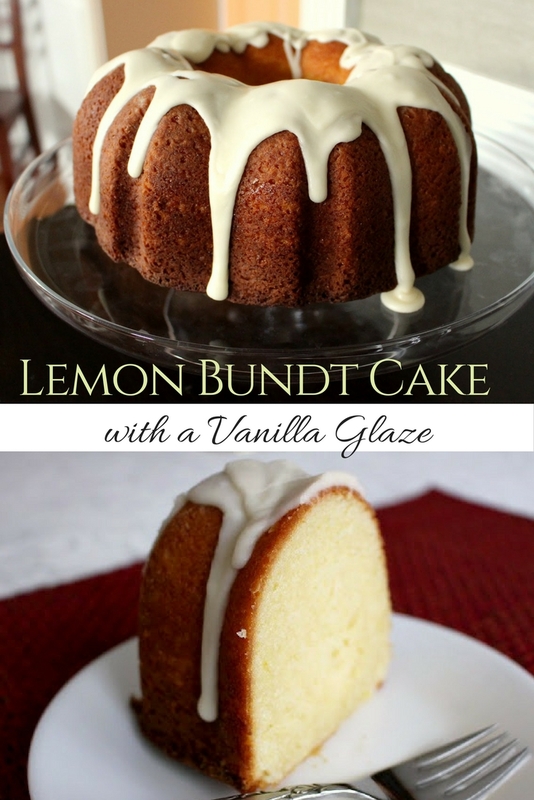 Lemon cake is probably my favorite dessert ever --- and that glaze just takes it over the top! It really did! I'm so glad he added it. I'm really loving all things lemon these days! The zest in the cake really popped. OOh! Love anything lemon! Gorgeous! The cake dish is so pretty! And this cake sounds great too! Never made lemon cake before but do love lemons! I'm so glad I found that dish! Thanks! This would be a perfect cake for my mom on Mother's Day, because she absolutely loves pound cakes. Yes, it was very much the consistency of a pound cake!